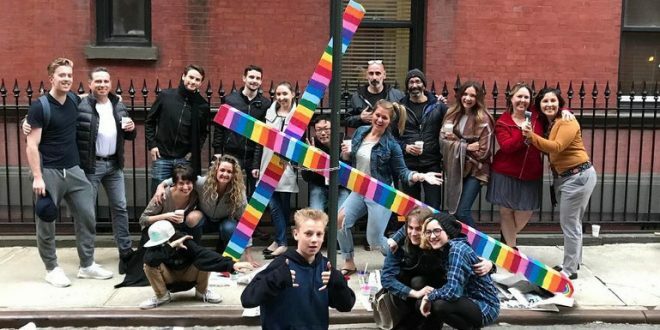 Somebody Chained A Plain Wooden Cross On NYC's Gay Street So The Neighbors Made Some Improvements - Joe.My.God. 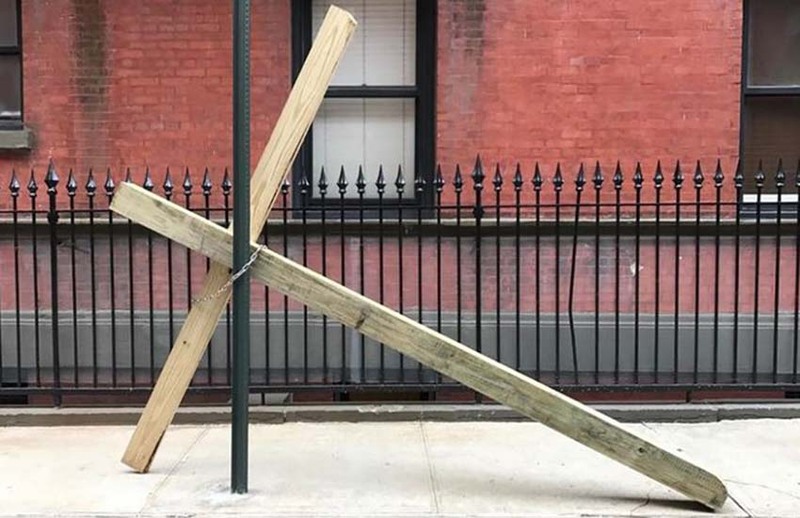 On Good Friday, a mysterious giant wooden cross appeared on Gay Street in the Greenwich Village neighborhood of New York City, chained and locked to an apartment gate. Over the next nine days, the cross’ owner would return and chain the cross to different parts of the street making it impossible for others to move it. NOTE: For those unaware, the corner of Gay and Christopher is prime real estate during NYC’s pride parade. You’ll find my crew right there every year.